On Sunday (September 9) the board of directors of the Ragin’ Cajuns Letterman Club announced the 2018 Hall of Fame Class that will be honored at a reception at Russo Park on October 12th and again at Halftime of the Homecoming contest against New Mexico State at Cajun Field on October 13th. 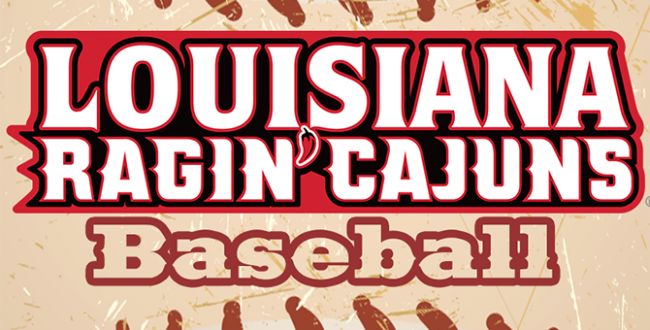 The class includes four former Louisiana Ragin Cajun student-athletes, the matriarch of the Ragin’ Cajun softball program and a fundraising administrator who has spent a lifetime promoting Louisiana Athletics. Scott Dohmann (baseball) – Dohmann, a former walk-on for Ragin’ Cajuns head coach Tony Robichaux, pitched for the Ragin’ Cajuns from 1998-2000 and helped Louisiana earn a spot in the 2000 College World Series.A Collegiate Baseball All-American and Sun Belt Conference Pitcher of the Year in 2000, finished his career as the all-time leader in career victories (26) for Louisiana. Dohmann won 13 games as a junior in 2000 – the second-most in a single-season in school history – while ranking in the top five in single-season categories: games started (2nd, 19), innings pitched (4th, 131.0) and strikeouts (5th, 130).Dohmann was selected in the sixth round by the Colorado Rockies in the 2000 Major League Baseball Draft and played a combined five seasons from 2004-08 with Colorado, Kansas City and Tampa Bay. Damon Mason (football) – Mason, a three-year letterwinner for the Ragin’ Cajuns football team from 1994-96, posted 135 tackles as a senior, putting him atop Louisiana’s all-time list for tackles in a season by a defensive back. It was also the third-highest, single-season total for the Ragin’ Cajuns defender, who finished with a career total 243 tackles, six interceptions and four sacks.The LaPlace, La., native was honored as a national Defensive Player of the Week and was featured in Sports Illustrated after posting two interceptions, including one for a touchdown, to go along with two forced fumbles, one sack and a team-best nine tackles in the Ragin’ Cajuns 29-22 upset win over nationally-ranked Texas A&M in 1996.Mason, a first team All-Big West Conference selection in 1995, earned third-team All-America honors in 1996 and eventually signed a free agent contract with the Orlando Predators of the Arena Football League in November of 1997.He played 12 seasons in the AFL from 1998-2011, spending time with Orlando, New Jersey, Las Vegas, Carolina, Grand Rapids, Austin, Utah and New Orleans. In his AFL career, Mason was a part of two Arena Bowl champion teams and finished as the all-time leading tackler in AFL history (1,009). Tiffany Clark Gusman (softball) – During her career at Louisiana, Clark Gusman recorded 288 hits – still the current record – while also establishing school records for runs scored (200), RBI (203), doubles (63), batting average (.391), total bases (468), extra base hits (106) and walks (100).Clark Gusman started in 239 of a possible 240 games in her four-year career for the Ragin’ Cajuns and earned NFCA All-Regional honors in 1997, 1999 and 2000. 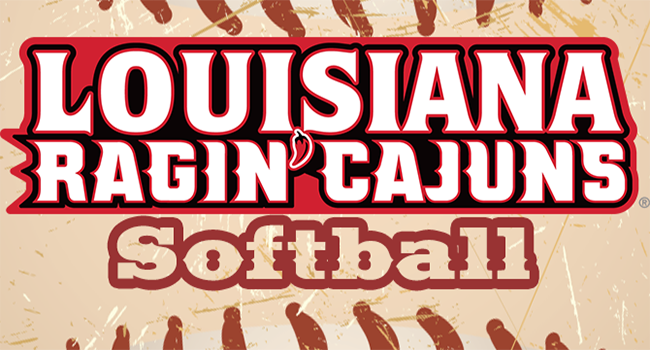 Clark Gusman, a 2001 graduate of the University, was a three-time NFCA All-American for the Ragin’ Cajuns, earning honors from 1998-2000. The native of San Bernardino, Calif., earned Sun Belt Conference Player of the Year honors in 2000 and earned Louisiana Sports Writers Association honors as Freshman of the Year (1997) and Player of the Year (1999). Anna Petrakova (women’s basketball) – The only player in Ragin’ Cajuns women’s basketball history to be named Sun Belt Conference Player of the Year, Petrakova was a two-time All-SBC selection (2004 and 2005) and led Louisiana its first regular-season SBC championship in 2005.Petrakova earned SBC Player of the Year honors in 2004 and became the 10th player in school history to reach the 1,000-point career scoring mark. Her 1,252 points scored rank ninth in school history, while her 188 blocked shots and 76.6 career free throw percentage are the best in the program’s history.Petrakova, who was a two-time European champion with the Russian Junior National Team, was part of the Russia women’s national basketball team that placed fourth at the 2012 Summer Olympics. She was named Player of the Year in the Russian Premier League in 2015. Yvette Girouard (softball) – During a sparkling 31-year career coaching career that included 20 at Louisiana, Girouard piled up a combined 1,285 victories – currently seventh in NCAA history. 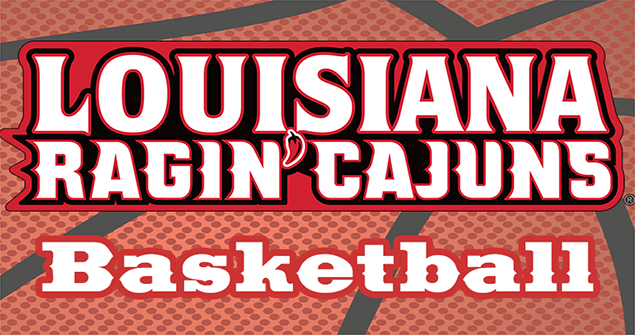 The Broussard, La., native started the Ragin’ Cajuns program from scratch and built the program into a national power, posting a 759-250 record at Louisiana from 1981-2000.After going 7-15 in her inaugural season in 1981, Girouard compiled 30 consecutive winning seasons, which included a combined five trips to the Women’s College World Series. Girouard led Louisiana to three appearances in the WCWS, with a third-place finish in 1993, and fifth-place finishes in 1995 and 1996. She had a combined total of 19 40-win seasons in her career (10 at Louisiana) along with nine 50-win seasons (three with the Ragin’ Cajuns).She produced back-to-back records of 57-7 and 57-5 in 1993 and 1994 with the Ragin’ Cajuns. Girouard coached 41 All-Americans and 16 Academic All-Americans in her 31 seasons. She was an eight-time conference Coach of the Year in the Southland (1984, 1985 and 1987), Sun Belt (2000) and SEC (2001, 2002, 2006, 2011).Girouard, who was a 13-time LSWA Coach of the Year recipient, was the National Fastpitch Coaches Association National Coach of the Year in 1990 and 1993. Gerald Hebert (administration) – Hebert, who has served as Athletic Development Director for the University since 2002, has played a major role in the formation of the Ragin’ Cajuns Athletic Foundation (RCAF) and the Ragin’ Cajuns Air Force.Hebert, a former pitcher and coach for the Ragin’ Cajuns baseball team, played a key role in the development of the University’s Athletics Facilities Master Plan, a $115 million project that was introduced in March of 2013. 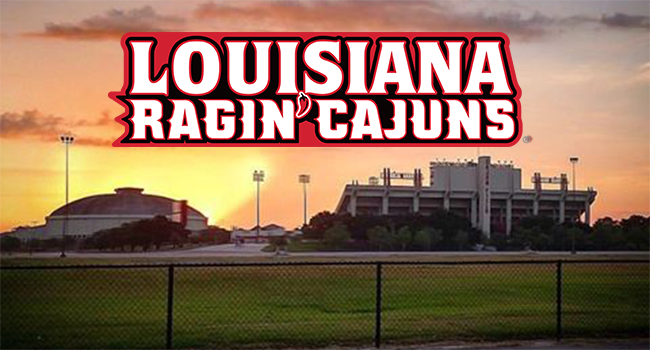 Through the cultivation of major donors, the three-tiered plan has seen upgrades to Cajun Field, M.L. “Tigue” Moore Field at Russo Park, the Ragin’ Cajuns Soccer/Track Facility, along with the addition of the Donald and Janice Mosing Student-Athlete Performance Center.An Abbeville, La., native and 1972 graduate of the University, Hebert was the coordinator of the LHSAA Top 28 state basketball tournament at the Cajundome for 15 years. Honored as Mr. Louisiana Basketball by the Louisiana Association of Basketball Coaches (LABC) in 2011, Hebert was primarily responsible for transforming the Top 28 into, arguably, one of the premier attractions in the state involving high school athletics.Hebert was known for his continual efforts to enhance the overall Top 28 experience and to create a true Final Four-type environment for both the participants and fans alike. While in Lafayette, the Top 28 shattered previous attendance records, drawing 12 of its top 16 largest crowds, including the top six crowds of all-time. The University’s Hall of Fame recognizes men and women who distinguished themselves as student-athletes and have made significant contributions to their professions and their communities. 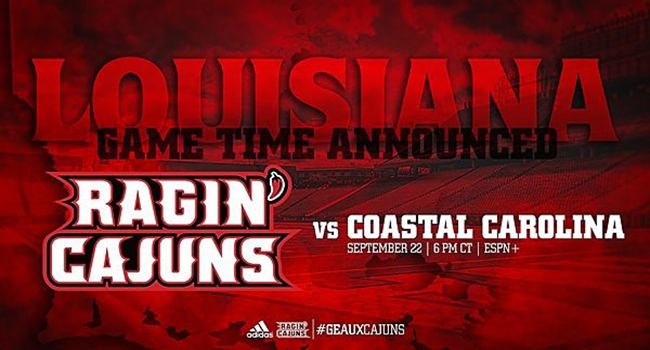 They are nominated and selected through a process that is overseen by the board of directors of the Ragin’ Cajuns Lettermen Club, an organization of former athletes who have lettered in their sport. In 2015, new eligibility criteria for the Hall of Fame were adopted to allow the nomination of coaches and administrators, as well as alumni whose collegiate careers were shortened by the chance to pursue professional sports. 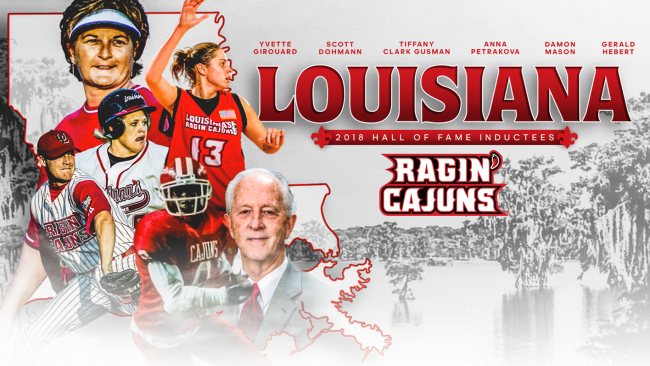 The 2018 inductees will be honored by the University and the Ragin’ Cajuns Lettermen Club at a reception on Friday, Oct. 12 at the Stadium Club at Russo Park.